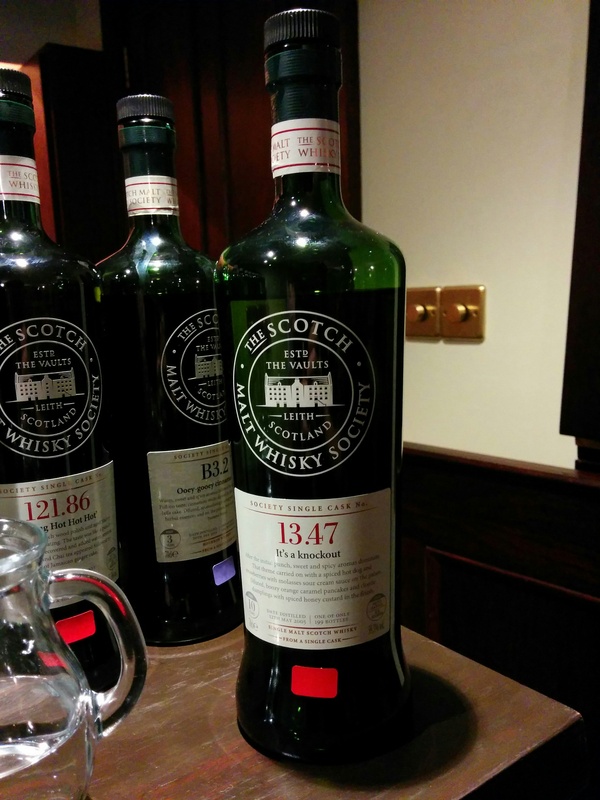 During my membership with SMWS I haven’t seen a Dalmore bottling so I was eager to try this one. It’s also matured in a bourbon cask so it’ nice to see what Dalmore is like without all that sherry influence. Werther’s original, butter scotch candies. Butter popcorn from the movies. Buttery sweetness that becomes zingy green grape sweetness. Evolves into metallic sweetness. Like sucking on new pennies while drinking apple juice. Smooth long toffee and apples. A bit creamy too like the whipped cream left over from an ice blended mocha. Well this is definitely the most buttery of whiskies I have ever tasted. It definitely stands out and I think some other people at the preview tasting found it a bit too odd for their liking. However, true to form, with my love of funky whiskies I quite liked this. I think it’s definitely worth a try and nice to see a cask strength single cask Dalmore.